Bahrain-based Euro Motors Jaguar Land Rover has announced the introduction of an offer on the high performance Range Rover Sport V6 and V8 models. In line with its constant innovative practices for the utmost benefit of its customers, Euro Motors Jaguar Land Rover now presents the Range Rover Sport V6 and V8 with complimentary registration and deployable sidesteps, said a statement from the company. 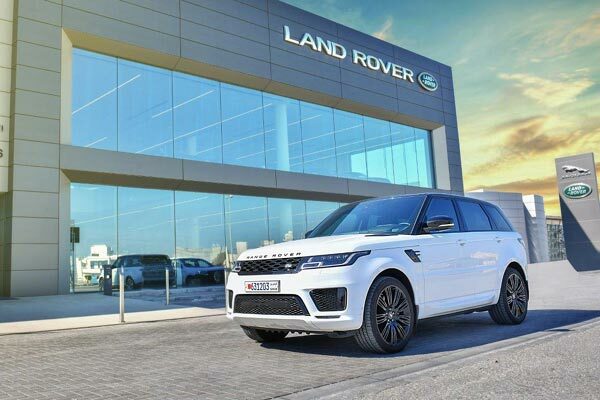 With the campaign set to run up until March 31, Land Rover Bahrain is also offering free insurance for customers purchasing the Range Rover Sport V8 model, it said. To complement the offer, customers are additionally provided with unparalleled benefits such as 5 years free warranty, a free 5 year service package and free 24/7 road assistance services for 5 years, it added. “By consistently introducing such offers we intend to strengthen the bond we have with our customers while justifying our customers’ goodwill and confidence in us. We are extremely excited as this remarkable campaign will enable us to continue delivering unmatched standards of excellence to our clients,” he said. “We look forward to welcoming everyone who wishes to own these incredible vehicles during this time,” he added. Exceptional grip and steering confirms Range Rover Sport as one of Land Rover’s most dynamic SUV. With a suite of carefully engineered technologies it delivers an exhilarating drive, whatever the road and conditions. The Range Rover Sport’s comes with a distinctive silhouette, rearward slopping roof and continuous waistline.